Ask the Scholars: when and where was Mullah Mohammad Omar born? As part of the NYU study, I've been doing some delving into the ages of various key members of the Taliban and those affiliated with 'Al Qaeda' and the various associated groups. 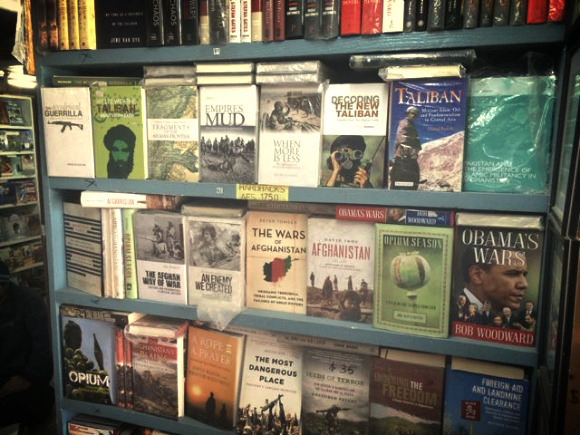 While doing this, I came across a whole host of differing accounts of Mullah Mohammad Omar's age and birthplace. I thought I'd list some that I came across as a way of showing how the 'scholarly community' is often deeply divided on really basic issues. Kamal Matinuddin (in The Taliban Phenomenon) states that he was born in 1961 in "Nauda village of Panjwayi district", Kandahar province; that he later moved with his family to Deh Rawud district of Uruzgan province, and then later migrated back to Sangisar in Kandahar province. Matinuddin's account is frequently cited. The French review Politique Internationale says -- in the introduction to one of the few interviews made by a western news outlet with Mullah Mohammad Omar -- that he was born in 1965 in a village near Kandahar. That's a variance of 15 years in the different estimates, and I haven't even included the various speculations in newspaper and magazine print -- of which there are volumes. Even then, he did so reluctantly. For two decades he had operated under multiple aliases: Pouk, Hay, Pol, '87', Grand-Uncle, Elder Brother, First Brother - to be followed in later years by '99' and Phem. "It is good to change your name," he once told one of his secretaries. "The more often you change your name the better. It confuses the enemy." Then he added, in a phrase which would become a Khmer Rouge mantra: "If you preserve secrecy, half the battle is already won." The architect of the Cambodian nightmare was not a man who liked working in the open. I'm wary of drawing comparisons between the Khymer Rouge and the Taliban, if only because it seems easy to do so on the surface, but secrecy over basic points is certainly something that they shared. Please let me know if you come across any 'interesting' citations of where Mullah Mohammad Omar was born; I even vaguely recall reading somewhere that he was born in Kunar province, but can't remember where I read it. UPDATE: Someone very helpfully suggested I read this Dutch report from 1999 as to the childhood and early years of Mullah Mohammad Omar. Go to Google Translate if you don't understand Dutch.